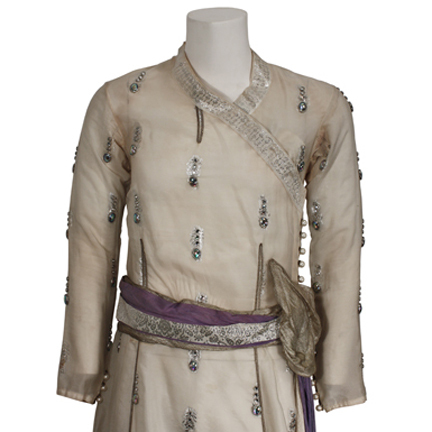 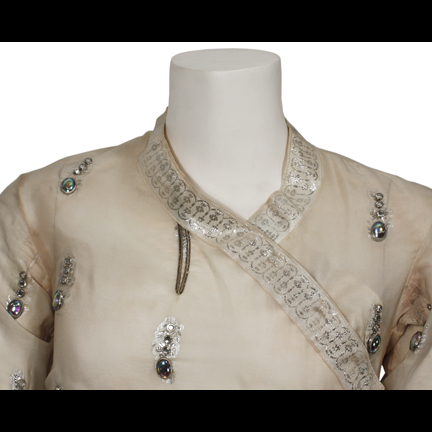 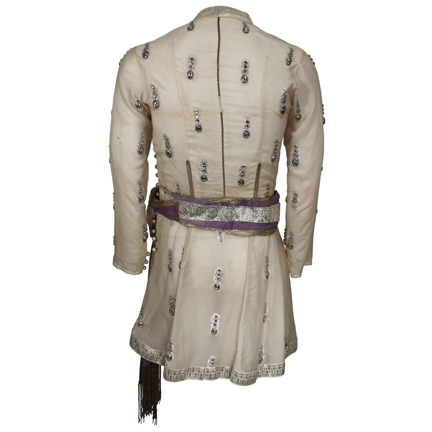 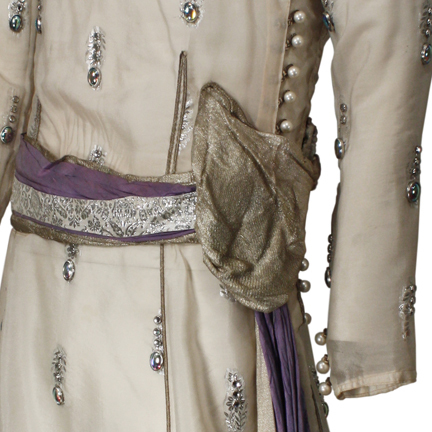 This vintage Indian tunic was worn by legendary performer Michael Jackson in an undated publicity photo. 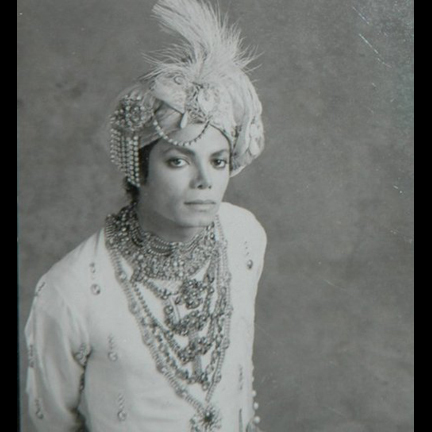 Based on Jackson’s hairstyle and overall ‘look’ in the photo, it was taken sometime during the “Bad Era” circa 1986. 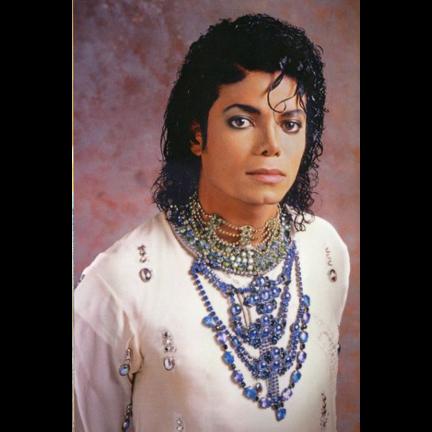 Mr. Jackson wore the tunic with an oversized purple blue and green rhinestone necklace, which covers the collar of the tunic. 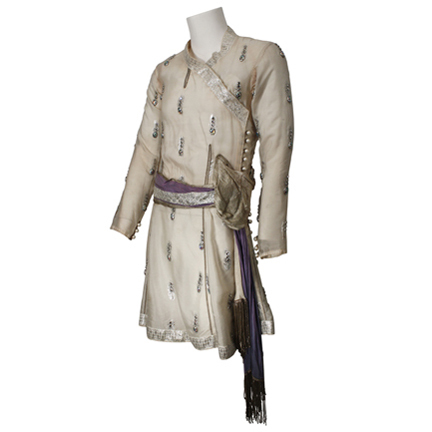 The cream knee-length tunic is made of a sheer silk fabric with a woven silver medallion design, has long sleeves, diagonal cross-front, an attached belt made of purple silk, cream and silver floral ribbon and gold metallic fabric and fringe, and large pearl buttons on the left side closure and sleeve cuffs. 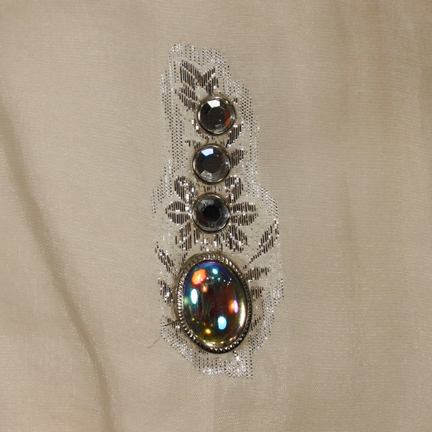 The hem and neckline are trimmed with silver and cream woven ribbon, and each of the silver medallion motifs on the fabric are embellished with three round rhinestones and a large oval multi-colored cabochon. 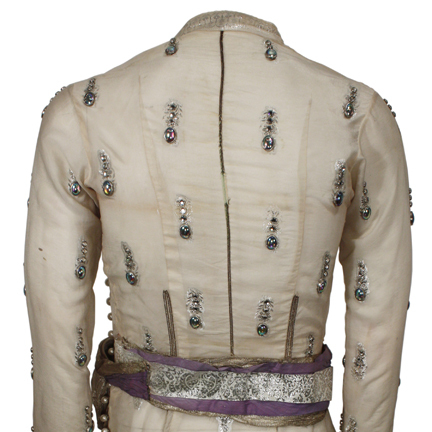 This vintage piece will make an impressive addition to any collection of high profile music memorabilia.